During its deployment in the Indian Ocean on April 6, 2019, Her Majesty’s Canadian Ship (HMCS) Regina seized 2,569 kilograms of hashish, a drug made from the resin of the cannabis plant. HMCS Regina made this seizure as part of Operation ARTEMIS – the Canadian Armed Forces’ ongoing contribution to Middle Eastern and East African waters – to counter-terrorism and enhance maritime security. It was off the coast of Oman that HMCS Regina spotted a suspicious fishing vessel, which it eventually stopped and checked. 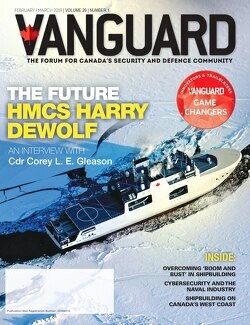 The Naval Tactical Operations Group (NTOG) team, a dedicated Royal Canadian Navy unit that specializes in advanced boarding operations at sea, went aboard and performed the search. It was during the investigation that 119 bags of hashish were found in the ice hold. The bags of the illegal drug were transported to HMCS Regina and subsequently destroyed. 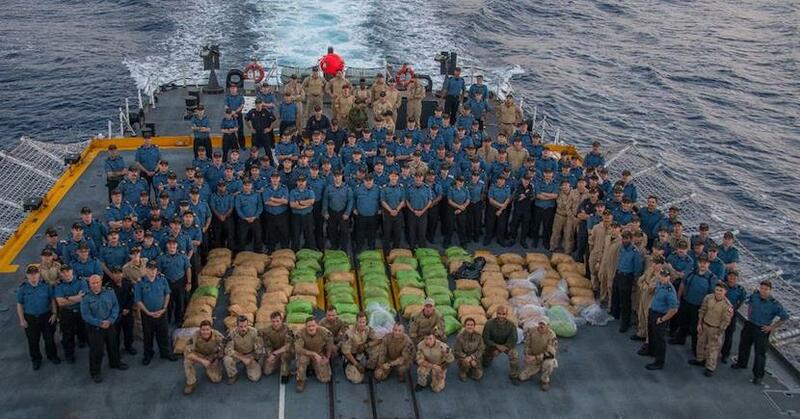 HMCS Regina’s crew poses with over 2000 kilograms of narcotics seized from a dhow during Operation ARTEMIS in the Pacific Ocean on April 7 2019. Photo: Corporal Stuart Evans, BORDEN Imaging Services. HMCS Regina is part of the Canadian-led Combined Task Force 150 (CTF 150), a naval coalition of over 30 countries that promotes security and stability in the region. This seizure is the first for HMCS Regina, which came just a few days after it joined Operation ARTEMIS at the end of March 2019.